WordPress Multisite is a way to manage Multiple WordPress Domains in a single go. We will be learning today to enable WordPress Multisite on your WordPress blog and how to manage domains. WordPress Multisite is no different from Simple WordPress, it just enables you to manage multi domains from a single WordPress Dashboard. Of course you need a self-hosted blog with WordPress installed, we will be making is WordPress Multisite and we will be managing the blogs from the Dashboard. Enabling Multisite in WordPress is somewhat easy though configuring it properly takes time. So, lets get started. As I said above, enabling is pretty easy. Even a child can do that. What you need to do is define in your configuration file whether your blog is Normal WordPress Installation or WordPress Multisite Installation. 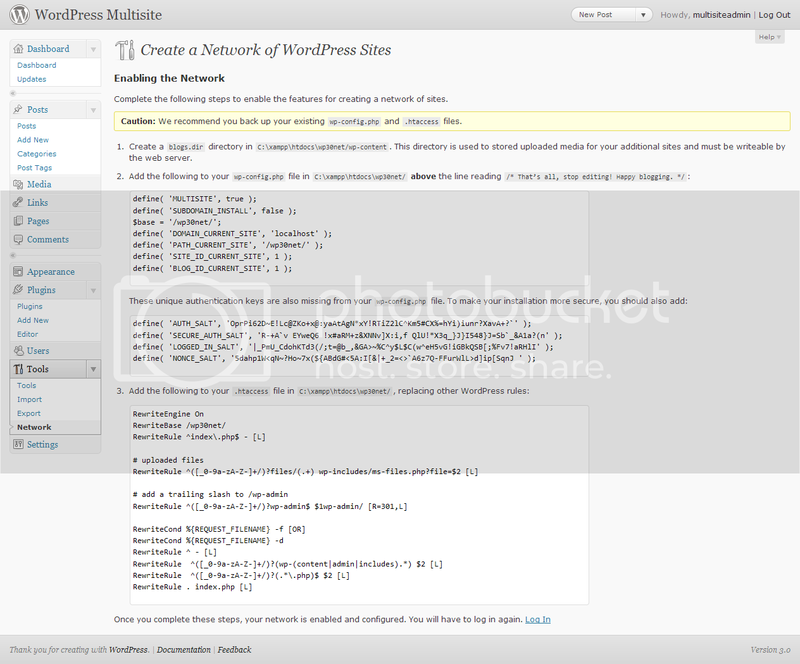 By default, it is Simple WordPress Installation and you need to define manually that you are using Multisite. Open up your wp-config.php file under the main WordPress Installation Directory and add the above lines just below where it says “/* That's all, stop editing! Happy blogging. 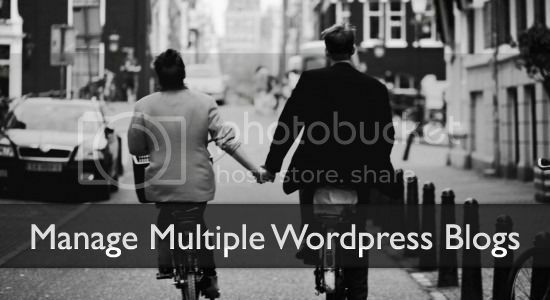 */” You are done enabling multisite on your WordPress Blog. Now, what you need to do is setup the Network. You can add all your sub-domains in this network. Sub-Domains can be of two types, for example, you can have example.blog.com and other is blog.com/example, Multisite allows you to add any of the sub-domains in the Network, but you need to setup them properly to make it work. After doing previous step, you will get a “Network Setup” option under Tools. Server Address – The URL of Domain you will use to access all your blogs. Network Title – The title of your network. Admin E-mail Address – The e-mail address of the super admin who will be controlling the blogs. You need to enter these details as demonstrated, add these in the page and create a network. Note : First Backup your wp-config.php and .htaccess files under the main WordPress Directory of your blog before proceeding to further steps. So, lets now proceed to the final steps for enabling the multisite network for your blogs. Now, lets start with the process. You need to copy the above lines to the mentioned files. Don’t change any other thing in Configuration and htaccess file otherwise you will be in problem for sure. These are critical files and therefore, you need to take care at every step you are doing. Once these steps are done, your network will be enabled and then, you need to log out and login again in your dashboard to see the changes. Now, you can manage all your sub-domains blogs right from the same dashboard, be it Comment Moderation or anything, you can switch between blogs easily and quickly without logging in in other blog.